Understanding Cuba's history is important, as it helps to appreciate the limitations that the people have had to work to overcome. Items that we take for granted are vastly appreciated in Cuba. Most equipment used in conservation research has been donated; this is largely due to the difficulties locals face in accessing such items offshore/online. 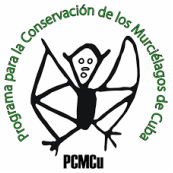 Every time someone gets involved in Proyecto CUBABAT, bat conservation in Cuba benefits! Between 1952 and 1959, Cuba was under the dictatorship of Fulgencio Batista, who gained notoriety by imprisoning his opponents and using oppressive methods to control the people, while at the same time enriching himself and his associates. Popular resistance to the Batista regime erupted in 1953 with the Castro-led Revolution which in 1959 finally succeeded in ousting Batista. Castro's new government reformed as the Communist Party of Cuba in 1965. Following the Cuban Revolution, relations between Cuba and the United States became strained. This eventually led to the US embargo in 1960, which stopped all trade between the two countries. This is why when you visit Cuba the majority of the cars are models from the 1950s (and many are still in excellent condition!). Today, history is being made. On December 17, 2014 Presidents Barack Obama and Raul Castro announced that they will work together to help restore the countries' relationship. The embargo is in the process of being lifted, the US embassy in Havana has reopened, and the travel restriction has been lifted! There is even WIFI available in some public parks! Cuba is changing at an incredible pace!